One of the impacts of the recent storm left strands of these web-like clumps scattered everywhere on our property. 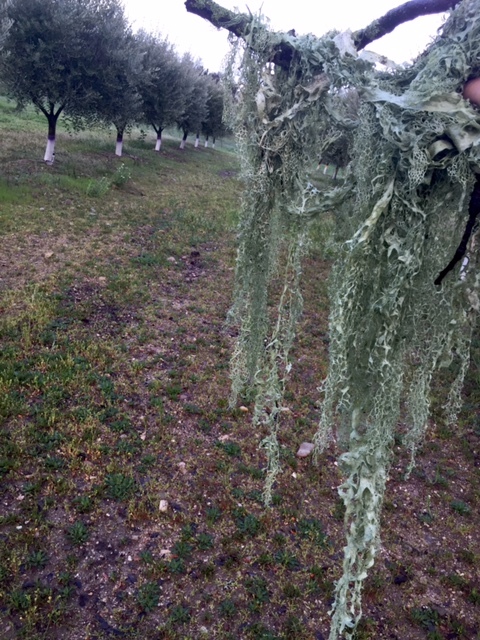 In the summer they hang in stiff, stringy wisps from the oaks, but after a rain they are soft, silky & spongy-like, similar to a land version of seaweed. It has this amazing earthy, oxygenated freshness; and I always wondered (but never had time to research) whether there was any ecological or medicinal value to this stuff. 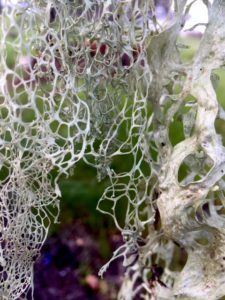 'Lichens are a composite organism arising from algae or cyanobacteria (or both) living among filaments of a fungus in a symbiotic relationship. The combined life form has properties that are very different its component organisms...Lichens are not parasites. They just hang on a host and really do no direct damage'. As to some of their current uses for humans: pollution monitors (some are quite sensitive to pollution), and YES, possible sources of new antibiotics and medicines! So what does this have to do with Olive trees. 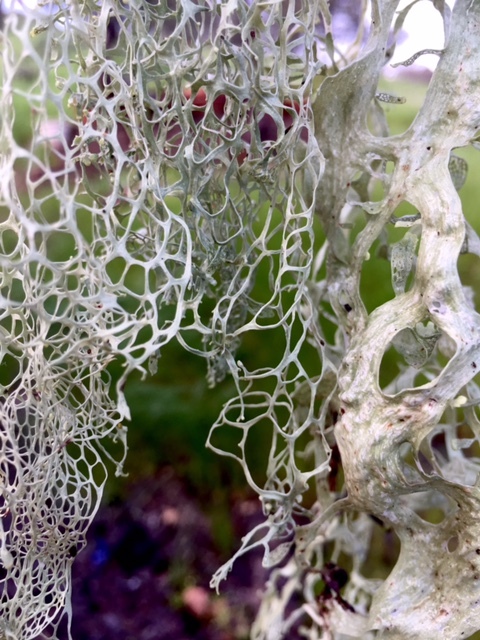 Well, besides their uses and striking beauty, lichens produce nitrogen in a form that plants require from atmospheric nitrogen that plants cannot utilize. Hum, nature's conversion factories. 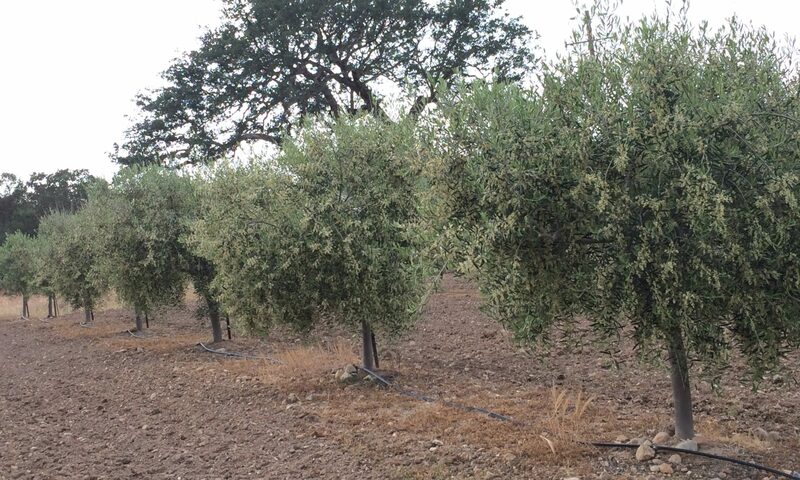 So drink up thy olive trees! Error: Error validating access token: Session has expired on Saturday, 20-Apr-19 13:55:24 PDT. The current time is Saturday, 20-Apr-19 19:43:56 PDT.